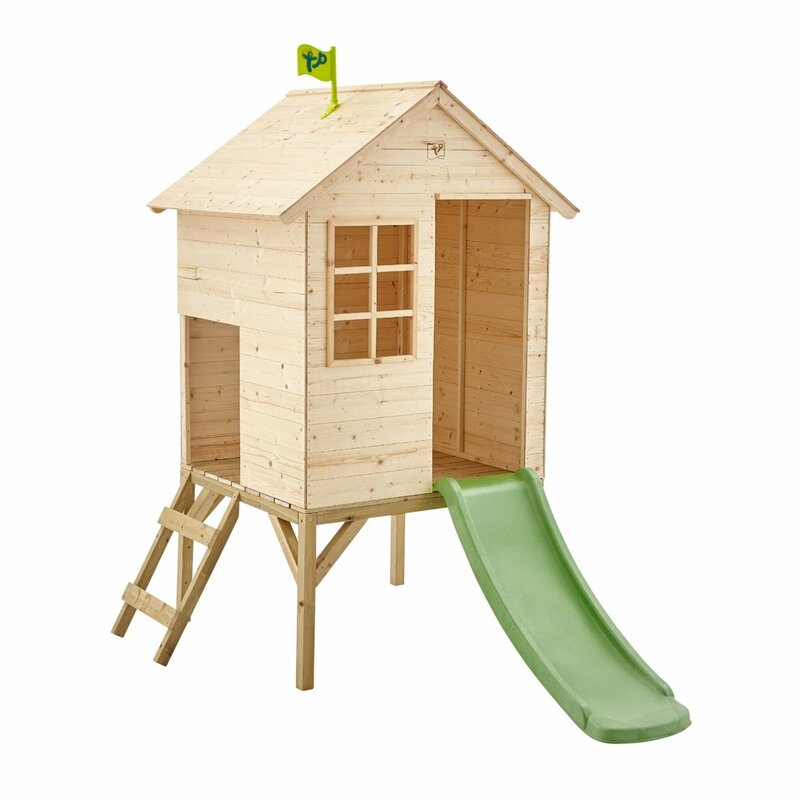 This cute all wood playhouse hideaway is ideal for children from just 18months old. 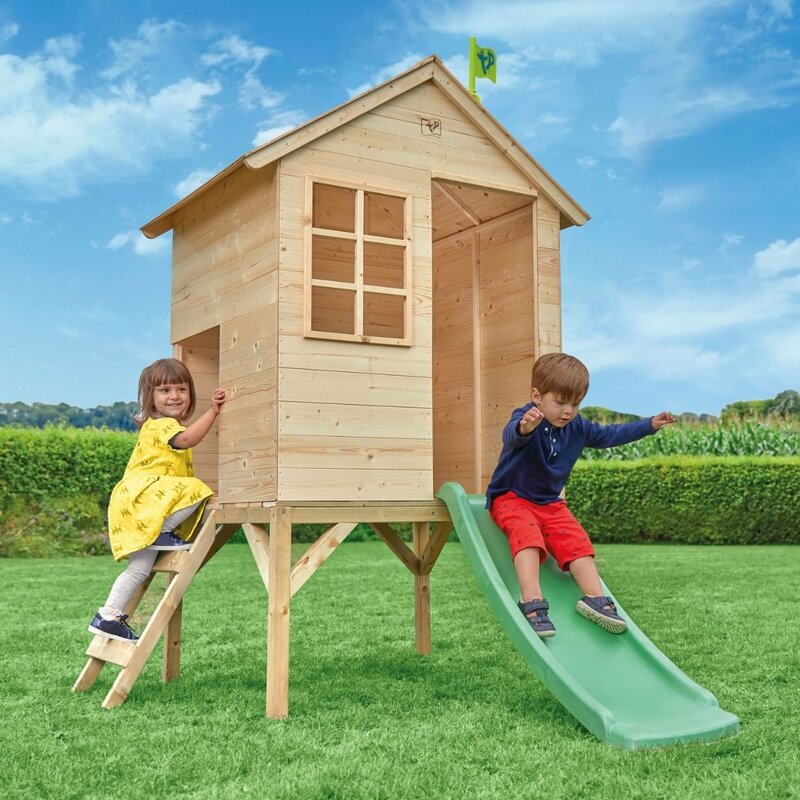 The TP Sunnyside Tower playhouse is treated and made from prefabricated wood panels which are easy to assemble. 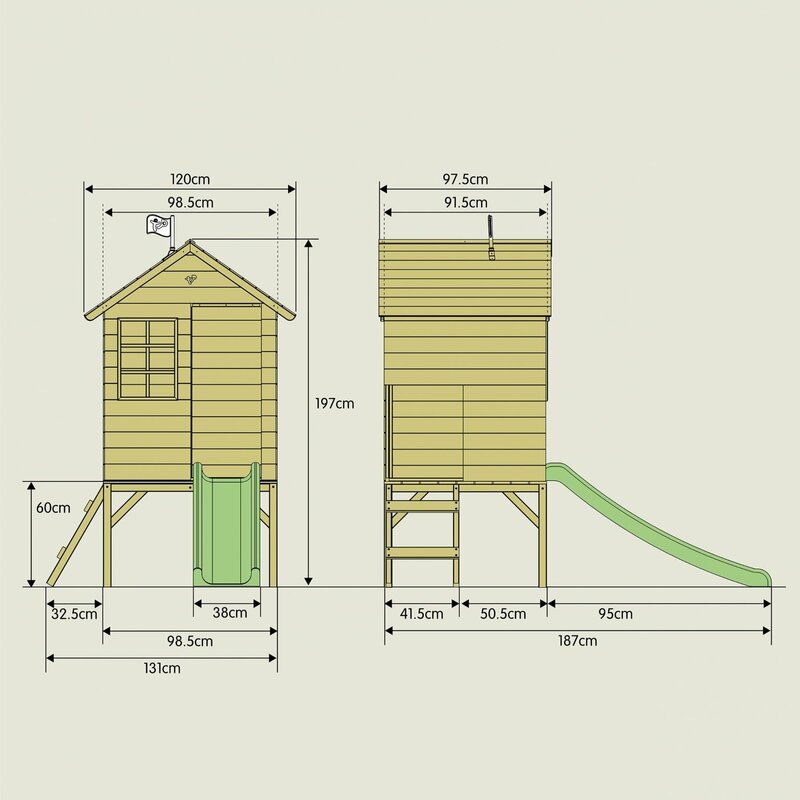 Access the pressure treated sturdy wood platform using the 2 rung all wood ladder supplied. Fun crawl through side entry door.Includes fun wavy slide. Write a review about "TP Sunnyside Wooden Tower Playhouse and Slide"
We'd love to hear your opinion! Write a review on “TP Sunnyside Wooden Tower Playhouse and Slide” today.